“The Cloud” is simply a term used to describe a system where you’re using a component that is out there somewhere on the internet. Let’s use “cloud Storage” as an example. First off let’s talk about your computer by itself. When you create a file or save a photo you probably save it to you C Drive. In a business that has its computers all connected they would have a computer or “Server” where everyone would save their files. With these two scenarios the computers are physical and not conceptual. Now think of this, we move the above mentioned businesses computer “server” to another location, say your house, and connect to it over the internet. Will it matter to the business where the server is if it can connect to it over the internet? 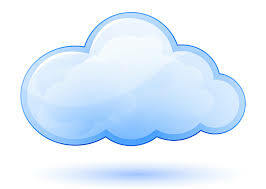 This is effectively what cloud is.